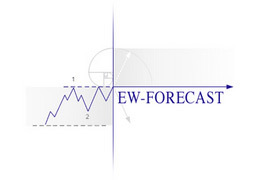 Bloomberg hosted a Precious Metals Forum on 23rd May and WaveTrack International was invited to present our latest Elliott Wave price-forecasts. The event was sponsored by the CME Group and Johnson Matthey. This paper updates the progress of the 'Inflation-pop' scenario first introduced two-and-a-half years ago. It specifically relates to the price development and trends of global stock markets and commodities following a period of increasing volatility that began in the year 2000. Much has been written about the dislocation between different asset classes during the first several years into 2003, with stock markets initially suffering across-the-board percentage declines of minus -50% per cent (benchmark S&P 500 - March 2000-Oct.'02) whilst during the same period, commodities like base and precious metals, held their levels and even increased. The most notable change occurred afterwards - the relationship began to merge and form a more consistent, positively correlated synchronicity. Peter Goodburn - as presented on CNBC Financial News. It was almost eighteen months ago that the term ‘inflation-pop’ was introduced to describe how the price of various commodities would perform in the aftermath of governments and central banks’ response to the financial sell-off in 2007-08 by lowering interest rates and introducing quantitative easing. Copper has and probably always will be a good barometer to test the economic winds and so we have used this as a proxy - but this alone cannot reveal the direction and amplitude of the prevailing trend. Subsequent to the findings in our original copper report, gold became the subject of interest as it rides together within the inflation theme with the big question as to whether it could rise exponentially in this money-printing period of our history and, as some predict, accelerate to US$5,000.00 an ounce or more? Crude oil is also positively correlated to these two commodities and an integral element to the economy and so what can we expect there? And so, one-and-a-half years on, have prices followed the path originally described and what measures can we use in identifying the peak of this ‘Inflation-Pop’. Media and news agencies have recently published a batch of articles that suggest investor’s appetite for buying precious metals is beginning to wane. Thomson Reuters reported on Thursday 22nd March “Gold hits two-month low on slowdown fears” whilst The Financial Times on Friday 23rd published the headline “Gold loses lustre as investors lured by signs of US recovery” - there we quite a few more like these. It was interesting to witness the timing of these articles especially since gold and silver were both declining quite hard during the previous three week period since both hit a top late February at 1791.16 and 37.53 (respectively). I say this because our latest Elliott Wave analysis for gold and silver revealed a counter-trend zig zag pattern unfolding during this decline. And true to ‘contrarian’ guidelines, as this was approaching a conclusion, the news flow reflected the bearish sentiment of that time, an early indicator of an imminent reversal of trend. This article examines and identifies the long term bear market unfolding in global stock indices - the S&P 500 is used as our international proxy. It is shown developing from its 'orthodox' high of year 2000 into a multi-decennial, three main price-swing or ‘wave’ event, labelled in super-cycle degree, A-B-C, identified as an expanding-flat pattern. 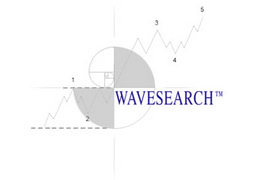 Wave A is the initial declining 'shock' phase, wave B as the upward inflation ‘pop’ that follows and finally wave C as the 'drop', a collapse of historical proportions. Dow Jones Breaks Above 2011 high! The Dow Jones has just recently broken above the 2011 high of 12876.00. This is the third indication of a larger bullish scenario that has begun unfolding in the wave count process from the Oct.’11 low. The first was the initial upswing into the Oct.’11 high to 12284.30. This advance unfolded into an expanding five wave impulse pattern. The second was a distinct and clearly visible zig zag correction into the Nov.’11 low to 11231.60. And now this third event - a break above the 2011 highs. So what does all this translate into? Elliott Wave - Birds of a Feather? The Elliott Wave Principle is a powerful deterministic model of pattern repetition that also incorporates other disciplines such as geometric & fractal (chaos) theories whilst expounding the concepts of hierarchies and interdependencies. Getting to know any of these can awaken the imagination to a wonderful technicolour of understanding of price behaviour because each compliments the other. This is also why we place a lot of emphasis to comparison studies of complimentary indices that are traded internationally. The first half of the year has seen some volatile price-swings for the Hang Seng and until recently, most of this taking place within a sideways trading range between 22123.26 and the year's high of 24468.64. We open this track-record in early January '11 with two competing wave counts with an outlook of 12 months forward. Gold has been common form of money due to its rarity, durability, divisibility and ease of identification for millennia. As a standard of exchange of value for the circulation of coinage or paper currency, its effect has been mixed with both success and failure during various periods of its financial history since the late 19th century. The 'double-three' and 'triple-three' patterns were not an integral inclusion to R.N.Elliott's original publication of 'The Wave Principle' (1938) but did feature in the later monograph of 'Nature's Law' (1946) although its discovery and classification were still in their formative stages of refinement. When R.N.Elliott (1871-1948) wrote his second and most comprehensive treatise, 'Nature's Law' in June 1946 he placed much emphasis on his discoveries of mathematical ratio and proportion and its interwoven connection between stock index price activity and the growth pattern of many natural phenomena. His 'mantra' of the time was 'No truth meets more general acceptance than the universe is ruled by law...' - in more contemporary times, 'general acceptance' of this is no longer the case. The weekend edition of the Financial Times (May 28-29th 2011) reports 'Silver rebounds to outpace gold...' with the article citing 'Silver made a partial recovery from its brutal collapse in May... but puzzling analysts'. 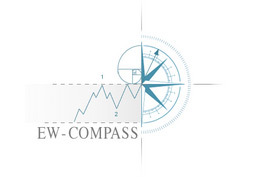 Yet, an Elliott Wave guideline that can be found repeating timelessly day-to-day can readily guide us through the labyrinth of 'guesswork' that encompasses the marketplace. References to gold are seldom out of the headlines these days, but when we see forecasters linearly extrapolating upside targets that are quite a long way above current levels we sit up and take notice. This was the case earlier this week as a notable consultancy announced price forecasts towards US$1600 per ounce.